In that life-changing moment when I first read that a drop of water falling into the headwaters of the Mississippi River in Minnesota would travel for 90 days to reach the Gulf of Mexico, I knew what was coming next in my life – I just didn’t know how. 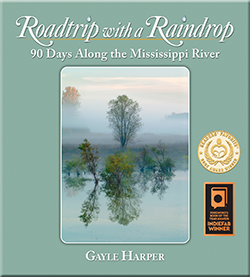 I knew, without a doubt, that somehow I would make this 90-day road trip, keeping pace with an imaginary raindrop on its journey to the Gulf. Since then, this adventure has literally created itself and I am a lucky participant. Clearly, I could not afford 90 nights lodging, so I sent an email to Chambers of Commerce and Tourism Bureaus along the Mississippi’s nearly 2,500 mile route. I included a link to my website and described the project that I had in mind. Then I said, “If you are interested in having me visit your community and you can help me with lodging, please let me know,” and I waited to see what would happen. To my astonishment, invitations began pouring in and, in the end, there were actually more offers for lodging than there were available nights. Because of that amazing support, this journey was made possible. Very often, while making the arrangements, I would be asked about my preferences and my answer was always the same, “Just a clean bed, please, and hopefully internet access – beyond that, whatever you chose will be perfect.” What they would choose, then, in many cases, is whatever is most interesting and unique in their community. As a result, an itinerary of fascinating places emerged that I could never have imagined or planned! I have rested my head in places as varied as a secluded cabin in the woods, a fishing resort, historic inns and B&Bs, a trendy downtown loft and a sharecropper’s cabin. There was even one unforgettable evening when I was handed the keys to a 30-room mansion and told that it was mine for the weekend! 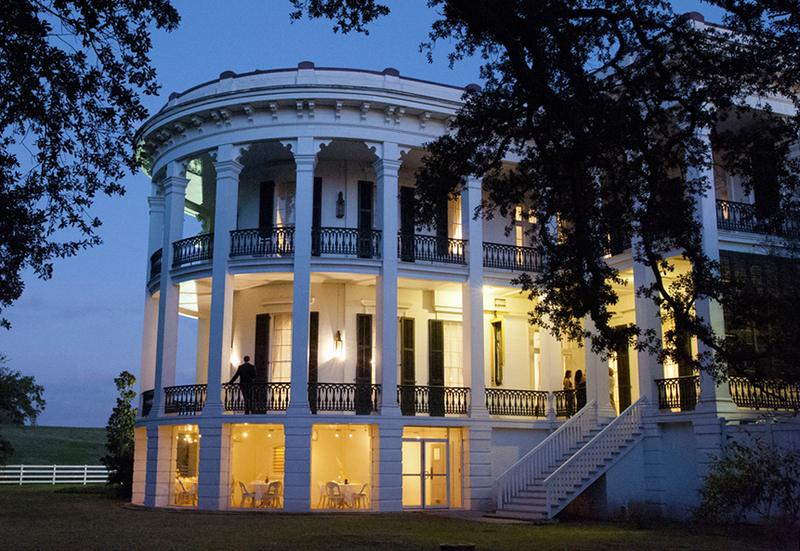 Now, on day 81, I am on the Great River Road between Baton Rouge and New Orleans, Louisiana, a region legendary for its collection of antebellum plantation homes. I have been invited to stay at Nottoway Plantation, which I know is the largest among them and I know that it will be magnificent. Still, I am not at all prepared for what I find. After checking in at a small building on the plantation grounds, I follow a staff member into the garden, still lush in mid-November. There, my first glimpse of the white plantation mansion stops me like a head-on truck! 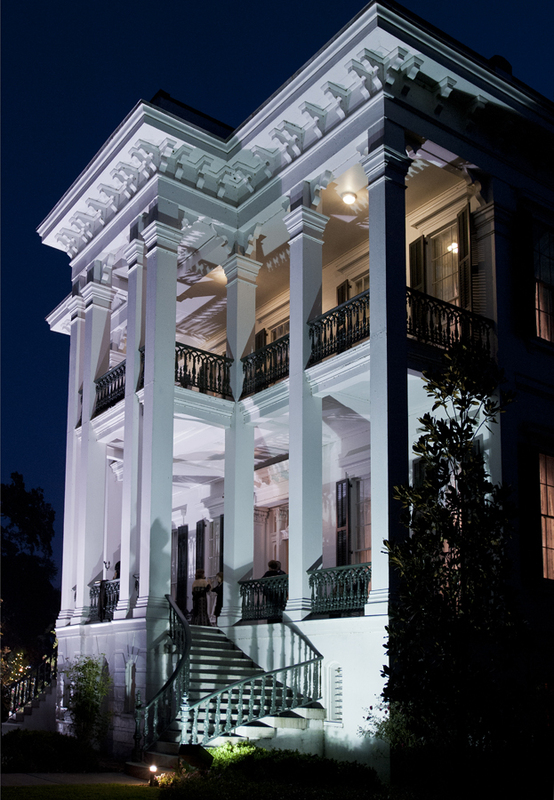 It is a 64-room, 53,000 square foot home surrounded by towering pillars and broad, curving balconies. I follow my guide into the house and we climb two flights of broad, graceful mahogany stairs, passing lavish rooms resplendent with period furnishings. At the top, he throws open a door and says, “This is your room – the Master Suite.” I am shocked, but I bite my tongue to keep from asking, “Are you sure?” and step inside. 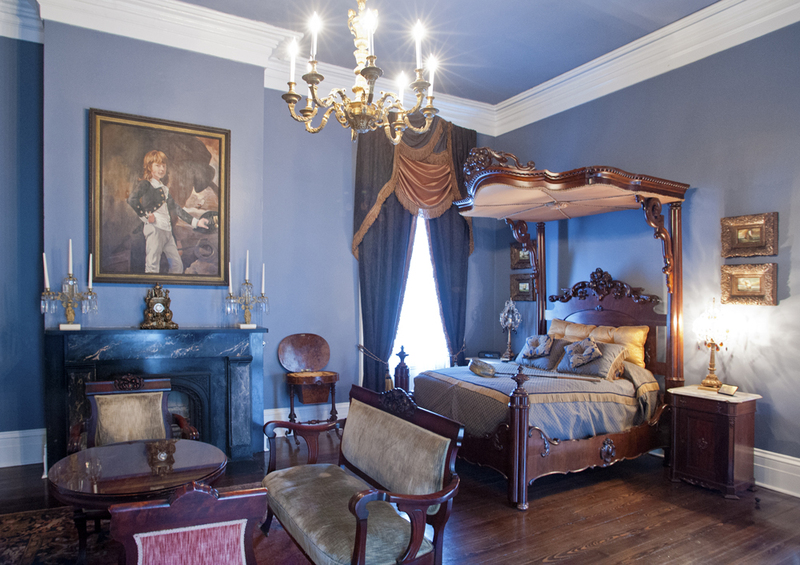 The beautiful, spacious suite is furnished with museum-quality antiques. 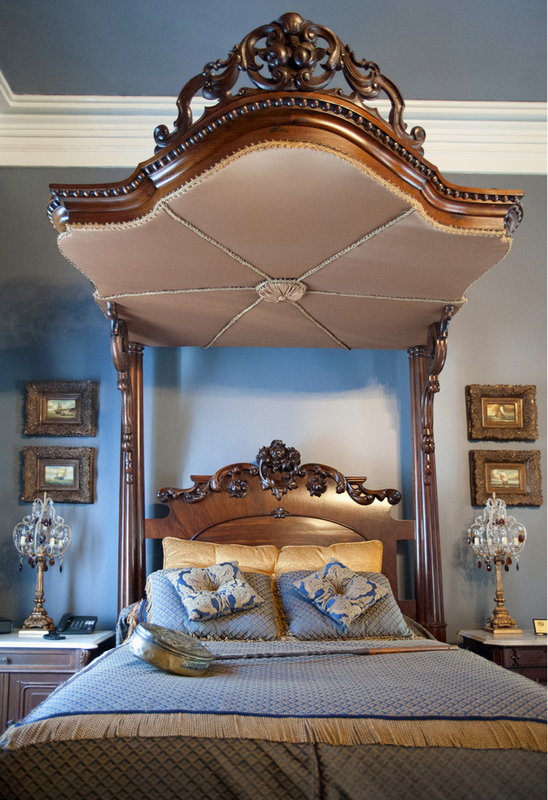 The hand-carved rosewood bed, which is covered with luxurious linens and topped with an antique bed warmer, has hollow bedposts, he tells me, and is likely where the lady of the house hid her jewels during the Civil War. I nod and smile in stunned silence as he orients me to my home for the next two days. I take up my camera then and wander the halls, peeking into open rooms. 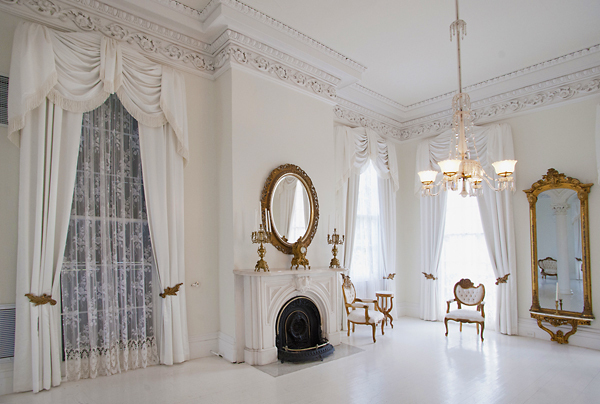 There are countless bedrooms, a spectacular white and gold ballroom, a dining room set with hand-painted French porcelain, a music room, a library and even a bowling alley. It is a look into a lifestyle of wealth and privilege that is almost beyond comprehension. In the morning, I will join a tour and learn the history of the house, but for now I am content to wander and gawk like a kid in a candy store. As dusk settles in and golden light glows from within the mansion, I race with my camera gear and tripod from one vantage point to another, marveling at how harmonious and graceful the architecture is from every angle. Finally, as darkness erases the last hint of color from the sky, I slow down and then I feel for the first time the effects of a very long, full and amazing day. Lest I think that she might have exhausted her bag of surprises, Serendipity, our little raindrop, has pulled this one out and topped herself once again! Happily exhausted, I climb the stairs (which feel considerably longer this time) and wonder how it might feel to settle into that elegant rosewood bed. Another excellent moment captured from your trip. What an amazing experience! Thank you for sharing! Hi Annette! Thanks so much! It was amazing – every day of it actually! Thanks for traveling with us! I have heard of Queen for a Day but this was definitely Queen for a night. A lesson in how the other half lives. Beautiful to see and experience but I prefer your own charming, comfortable home. One of the things I really treasure about this whole journey is that it I was granted opportunities to peek into all kinds different lifestyles! And yeah, like Dorothy – there’s no place like home! What a fabulous home !! Beautiful shots, Gayle. Thanks, Sandy! Pretty amazing isn’t it?